October 2016 saw one of the strongest denial of service (DDoS) attacks in the history of the Internet. The attack started around 7 am ET and targeted the New Hampshire based Dyn Internet infrastructure company. The attack was classified as "very sophisticated and complex" by the Dyn security experts. Much of the east coast web infrastructure was affected by this series of attacks, even large websites and services like Twitter and Netflix were affected. For sure, the internet is more fragile than we realize. Most responsible business owners invest in business insurance and computer backups. These, they believe, are the essential tools for surviving a disaster. Unfortunately, there are inherent flaws in this two-pronged process. Most businesses don't figure out those flaws until disaster hits, at which time it's too late. When you hire a website development company, it's a good time to review (or create) your disaster recovery plans, so that in any eventuality, you can recover from disaster, resume operations quickly and effectively, and continue to enjoy the business that sustains your livelihood. How Will You Continue to Do Business? While you're getting cranked up with your new website development company, take some time to plan for the "what ifs" of doing business. What if riots break out in the streets and you can't get to your business? What if there is a fire, or flood, or tornado? Be prepared so you don't become the one in four businesses that don't survive a disaster. How Will You Afford to Continue to Do Business? Where Will You Continue to Do Business? Take some time to think through where you would go to set up shop if your primary facilities weren't accessible. Just remember, any alternate buildings in the same general area could be hit by the same disaster that affects your own business. Choose wisely. While you're working with your website development company to build a smart, comprehensive backup and disaster recovery plan, take some time to consider where you'll set up operations if your primary facilities are rendered unusable for a time. There are businesses that specialize in providing alternative workspaces for DR (disaster recovery) purposes, but these are often out of the price range of most small businesses and startup companies. An alternative is to network with local real estate agents. In the event that you need to set up in a new location quickly, they might give you first dibs on any available commercial space (and perhaps even a cut-rate price). You could even offer your products or services with the real estate agent in exchange. 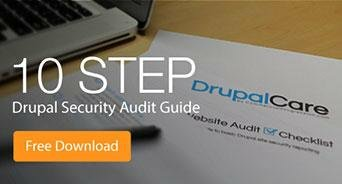 Are you looking for a Drupal website development company to help you get your website and e-business up and running? Set your business up for success from the start. 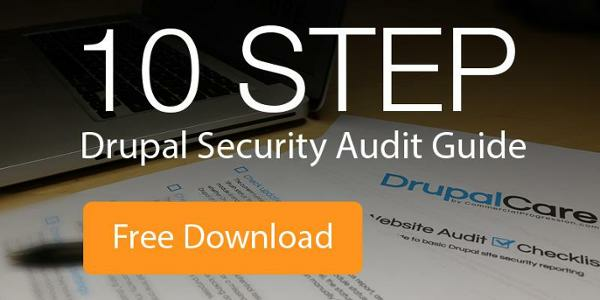 Download our Drupal Security Audit guide to learn what you need to know about setting up a secure Drupal website in the age of the data breach.